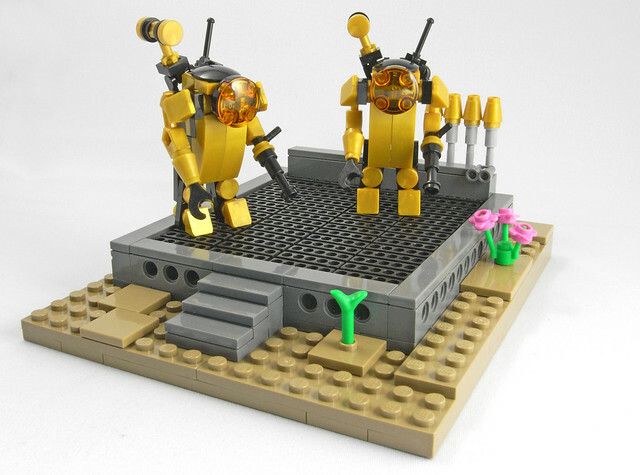 halfbeak (on Flickr) has constructed a very cool little MOC! The parts usage here is fantastic! Especially the tank treads as flooring. The robots themselves are very nicely made as well. Be sure to check it out on Flickr.